By buying this product you can collect up to 227 bonuspoints. 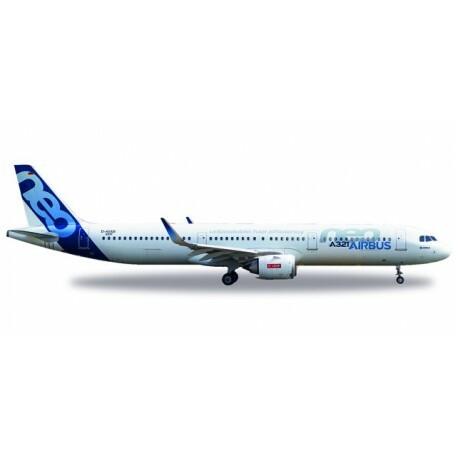 Flygplan Airbus A321neo - D-AVXB, modell i metall. The longest version of the new A320 family had its maiden flight at the Airbus facilities in Hamburg, Germany in February 2017. The engines of the neo-variants (New Engine Option), optionally from CFM or Pratt & Whitney, promise better performance and lower maintenance paired with a reduction in fuel consumption.